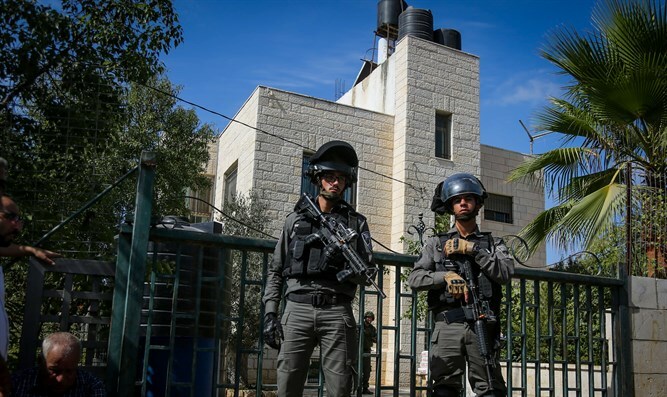 Palestinian Arab arrived at the village entrance, admitted to the security guard that he intended carrying out a stabbing attack. The 20-year-old suspect caught at the town's entrance after he began acting strangely. After being detained by a security guard, the suspect admitted that he was intending to carry out a stabbing attack with a knife he had hidden in the village. During the attack, the terrorist opened fire on security personnel after he was ordered to halt while attempting to enter Har Adar. Two guards and a Border Police officer were killed, while a fourth Israeli security official was wounded. The terrorist, later identified as 37-year-old Nimer Mahmoud Ahmed Aljamal, was a resident of the nearby PA-controlled town of Beit Surik. Armed with a stolen pistol and carrying a work permit allowing him to enter Har Adar, Aljamal had apparently planned to carry out a mass shooting inside the town, and had trained with the pistol before the day of the attack. In the wake of the attack, army officials barred PA workers from entering Har Adar, and pledged to make improvements at the checkpoint workers must pass through at the entrance to Har Adar.